I often get asked why I work so much at liberty with my own horses and my reply is ‘to test our connection’. For me it’s this connection that holds the key to everything I do with horses, all ground work, handling and ultimately riding. But how is this connection created? For me it is very much a mental (focus) and heart (emotion) connection that is created by being ‘in the moment’ and ‘with the horse’ at all times when in their company. It is also integrated with the ‘energy’ of my body. 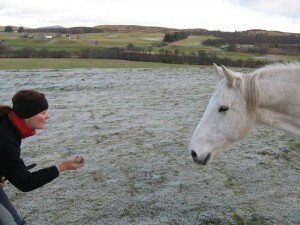 If I can focus on what I want to achieve with my horse and on what my own body is doing then we can become ‘connected’. SO, everything I do, feel, breath and focus on transfers to my horse. I think positively on what I’m trying to do NOW and allow my body and mind to shape the body and mind of my horse so that we become ‘dance partners’. Slowly the connection can become deeper and deeper so that my physical/body moves become more invisible but my inner mind/focus becomes stronger and once the horse is invited to partner up they really follow that focussed lead. It can be hard to achieve if your mind is constantly thinking of other things so the first task you have to try is to empty your mind of other things and just be in the moment with your horse. It’s like a dance where we collectively move together that brings about a mutual understanding of space around us. 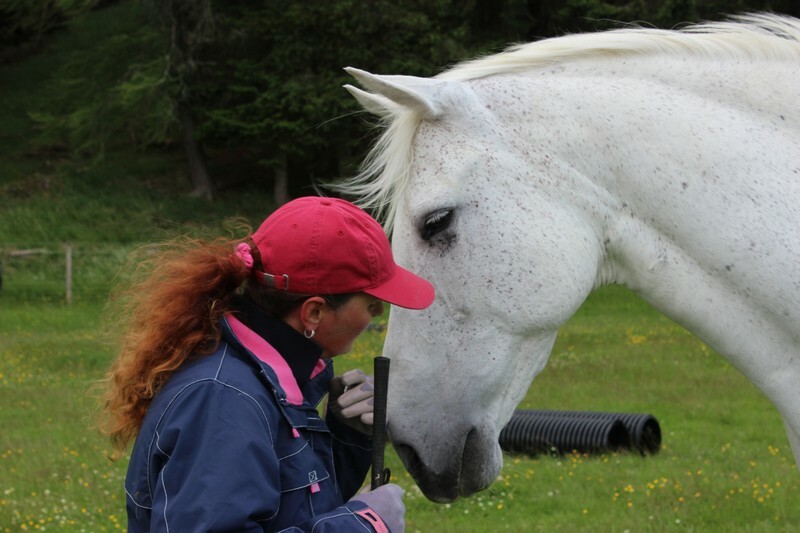 A more visual way of thinking about your horse connection can be of how you share space together and I will write more about Sharing Space in another article.